A journalist, writer, and historian, Harvey Wasserman has been an activist for radical democracy and alternative energy for over five decades. Influenced by civil rights activism as a child, Wasserman became seriously involved in journalism while on the staff of the Michigan Daily at the University of Michigan. After graduating in 1967, he joined the Liberation News Service supplying news to underground and alternative media outlets, remaining with the LNS branch that eventually settled on the Montague Farm Commune in Montague, Mass. During more than a decade at the Farm, Wasserman and his fellow communards helped ignite the modern movement opposing nuclear power. 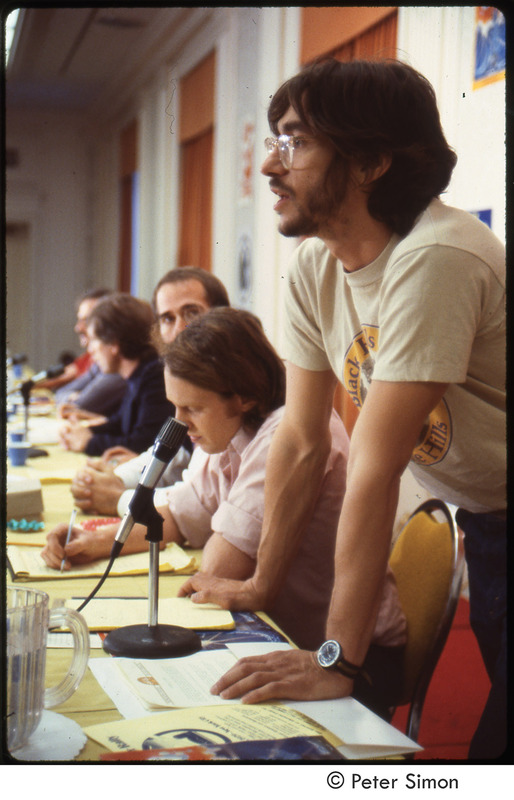 Helping to found two vital antinuclear groups, the Alternative Energy Coalition and the Clamshell Alliance, he became a key strategist and organizer of the mass protests at the Seabrook Nuclear Power Plant and was a motive force behind the Musicians United for Safe Energy concerts in 1979. His activism has since expanded into a broad range of environmental issues, alternative energy, election protection, and politics. A prolific writer, he is author of Harvey Wasserman’s History of the United States (1972) and Solartopia (2007), among other books, and his articles have appeared in both the mainstream and alternative press. The Wasserman Papers document the career of a key figure in antinuclear and alternative energy activism. The collection includes a nearly comprehensive set of Wasserman’s writings, materials on the antinuclear movement, solar power, the Montague Farm Commune, and materials relating to his efforts to protect the American electoral system.